Yesterday was the barefoot concert of Imam Baildi, organized by TOMS. 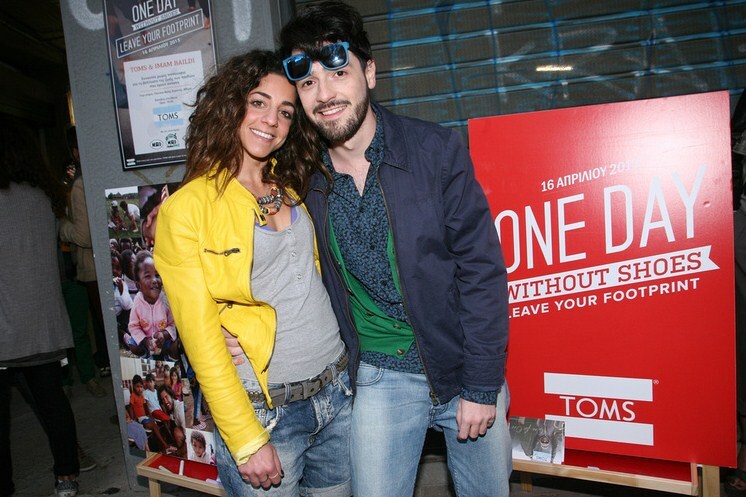 One Day Without Shoes is held for the third consecutive year in Greece, thanks to the global initiative of TOMS to improve the lives of children in need. 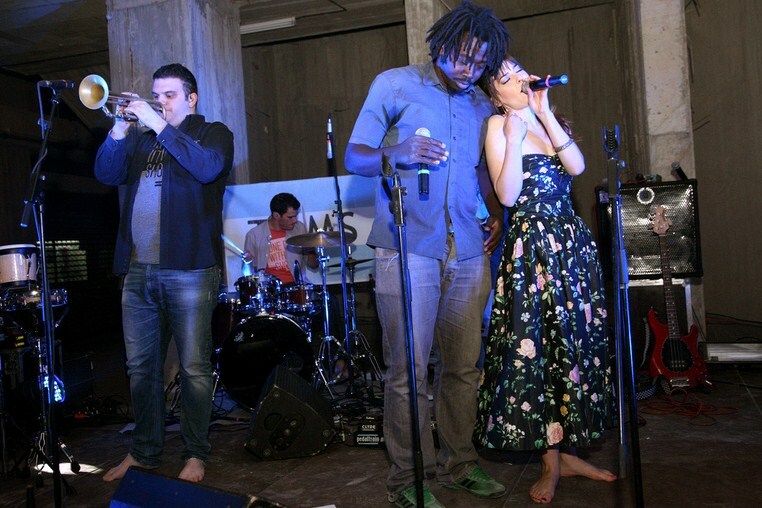 The TOMS along with the band Imam Baildi staged a barefoot concert in the center of Athens. Vicky Kaya and her students of the Fashion Workshop dragged all the guests and passers by to take off their shoes and to dance barefoot! More than 500 people gathered at the grey building at Agia Eirini Square and danced to the music of Imam Baildi! 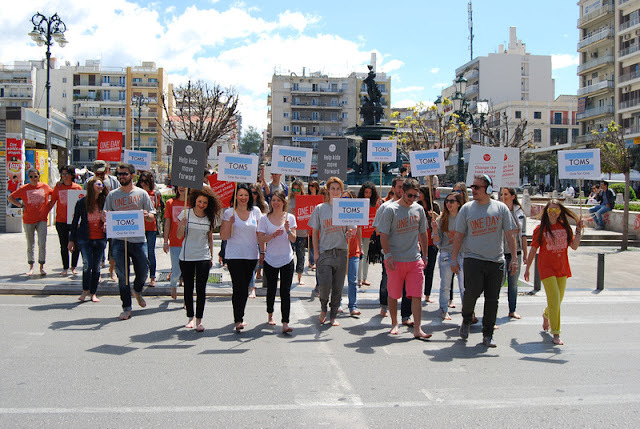 One Day Without Shoes is a global movement that aims to inform and raise public awareness, and to improve the lives of poor children as you could read in a previous post. Here some photos of the event. The same day around the world, people organize events without wearing shoes and inform why shoes are important for a better tomorrow. Parallel event in Greece took part in Patras where dozens of people walked barefoot. Then the participants had the opportunity to write in their own words in special stickers in the shop window how they perceive the initiative of TOMS and why support! Worldwide hundreds of events for One Day Without Shoes were held and hundreds of thousands of people took off their shoes from Korea to London and from Amsterdam up to Los Angeles!